Winter is here in the Pacific Northwest. No more sunny warm days. Sandals and shorts will have to wait for the next season. Rain pouring from the sky. My favorite way to cheer up is to spend time at the farmer’s market. Olympia’s Farmers Market is one of the best. I came home with pears, plums, cabbage, parsley and carrots. Crunchy and bright orange, the carrots tasted sweet and fresh. 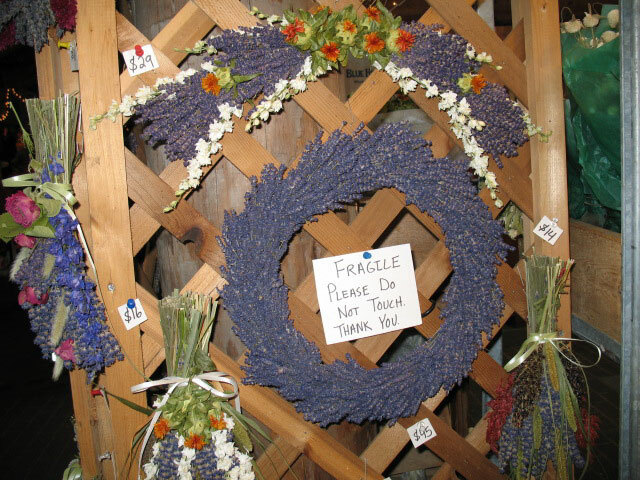 Lavender wreathes remind me of summer. The fragrance is sweet and seductive. The color is vivid. 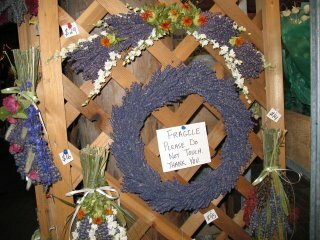 If you are looking for a way to escape the winter blues, consider visiting a farmers market near your home.